It was a strange feeling to wake up on the morning of the 23rd of April 2015 and open an email congratulating me on my successful application to become an Apple Distinguished Educator. It was an accolade that I had been desparate to achieve for a long time and finally here it was. 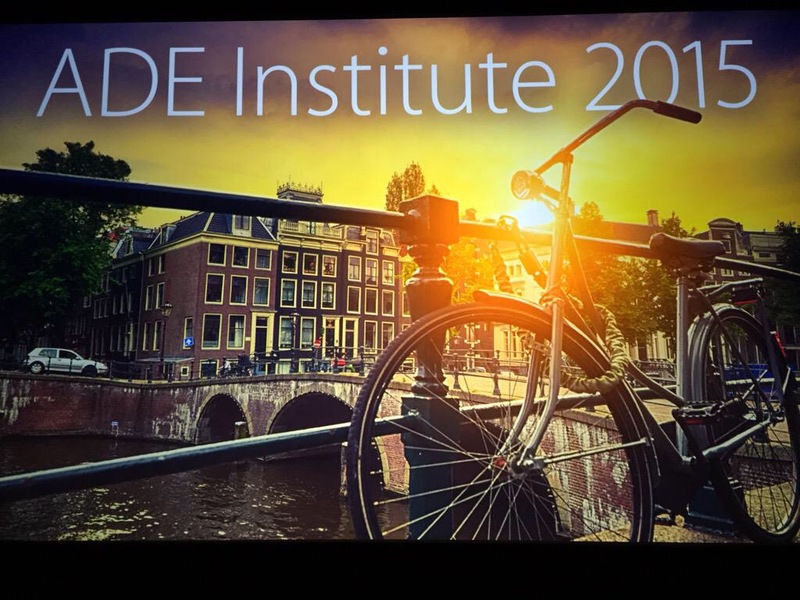 Fast forward three months and having attended my first ADE institute I can honestly say I have been fortunate enough (in both a personal and professional way) to attend the most challenging, rewarding, inspiring and exhausting CPD event ever! Over four days we were treated to the very best professional development you could ever hope to receive, and not just in a ‘techi’ way, it was far more than that. So what made it so incredible? That’s such a difficult question to answer! You need to experience an event like this to fully appreciate it. I’ve tried several times to describe it to colleagues and I know I haven’t done it justice. However, as the weeks have passed since I boarded the plane home from Amsterdam, I’ve had time to reflect upon my experience, and It all comes down to one word for me – Passion. Every person that attended, whether newbies, Alumni, representatives from apple or guest presenters – had the most amazing passion for what they were doing. Not only was it infectious, it was monumentally inspiring! The week had so many stand out moments. I was priviledged to listen to Alumni members such as Mathew Pullen, Greg Hughes and Catherine Mangan talk about their journeys as ADE’s and how they have been transforming the lives of the children and adults that they work with. As the manager of an RTC I’ve been lucky to benefit from Greg and Matt’s expertise on several occasions now, and they are two of the most genuinely nice guys you could ever hope to meet. Both have had a big impact on my professional development over the past few years from sharing their unique and innovative ideas. Thanks guys! In the weeks before the institute new ADE’s had been secretly hand picked to take part in something known as ‘1 in 3’. You have three minutes (not a second more before the lights and mic are turned off!) to share a project that you have been working on. Catherine Jessey, Zainab Patel, Sarah Jones, Danny Ross and my good friend, the legend that is Stuart Hammersley, all told stories of the incredible work that they are doing in their current settings. Each working tirelessly in order to make every child experience success and have the very best opportunities so that they may reach their true potential. I myself was also invited to speak, and although it was one of the most nerve-wracking experiences i’ve ever been through, it was brilliant to work alongside experienced ADE’s who supported you in preparing both the content and delivery of the presentation. Thanks to everyone who helped out! We were treated to a mesmerising presentation on garage band, iMovie, Final Cut Pro and Logic by the heads of product design. Here were two people at the top of their chosen field, who loved what they did and wanted to share it with everyone. However, what also came across as they spoke was their incredible drive and ambition, mixed with a competitive edge that had enabled them to continually push boundaries and improve. Perhaps the highlight of the week, for the majority of the delegates, was to be able to listen to Pulitzer winning photographer Bill Frakes. Here was a man with a unique gift and talent that he humbly shared with an audience who sat mesmerised and silent whilst he spoke for well over an hour and a half. He began with a body of his work entitled ‘Nebraska Sky’ which i’ve included below. On the final day Alan Rosenfeld, who earlier in the week had given us an incredible insight into the fundamentals of design, stood up, paused and then walked to the middle of the stage and simply said, ‘Do you get it now?’. There was a quiet moment in the room where nearly every head nodded in acknowledgement. You see, it’s so easy to get caught up in the title ‘ADE’ and to brag to your friends about how you work alongside apple, but ultimately it comes back to our core purpose. To give the children in our care the very best start they can possibly have in life. At it’s heart that’s what this week was all about. All these educators, from different corners of the world came together to share best practice; collaborate on new learning opportunities; create incredible content so it can be shared globally, and champion the message that technology is an essential ingredient for todays children to flourish and redefine the future. 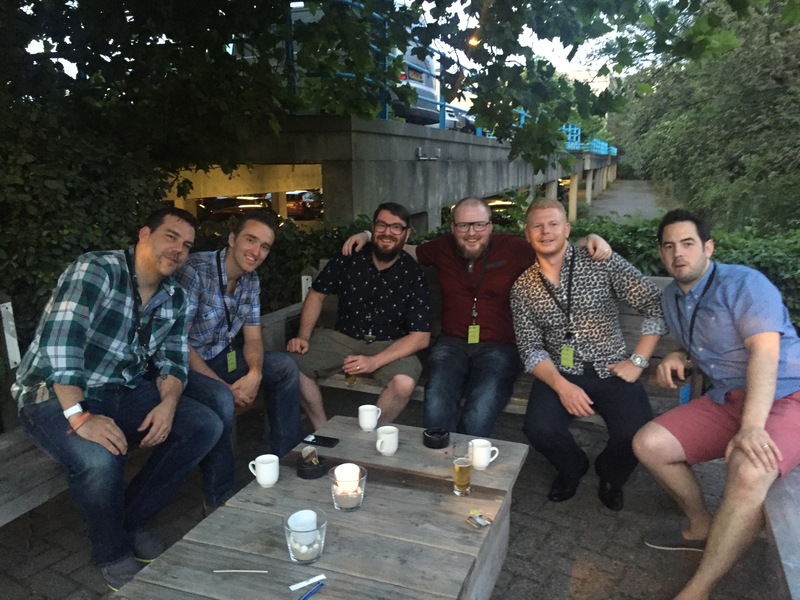 I must also say, in addition to the people i’ve already mentioned, a big thank-you to my good friends Abdul Chohan, Martin Coutts, Gavin Smart and Matt Smith who throughout the week were a constant source of support, inspiration and friendship. We will make that giant chicken one day Gavin!